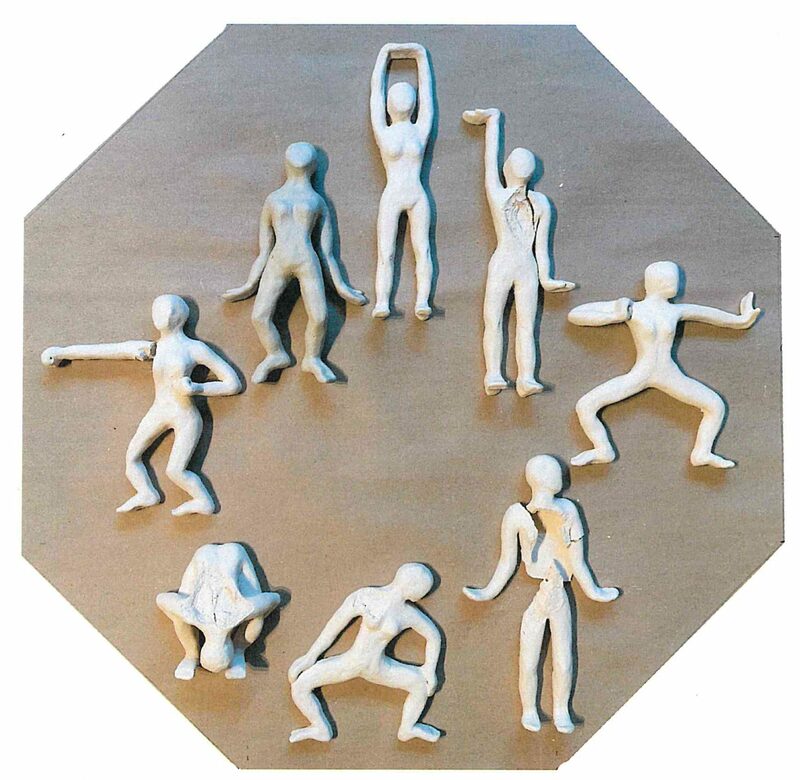 I was preparing ceramic sculptures to represent the 8 Brocades Qigong. When I opened the lid of the kiln I got quite a surprise. The perfect figures I had labored to make had exploded. Staring at them I thought it was a complete disaster. I was tempted to throw it all away. The more I looked at the broken figures, the more excited I became. I began rearranging the pieces like a puzzle into something new. Something striking and meaningful emerged. I discovered beauty and wholeness in the re-creation of my wounded figures. We all have some imperfections, many have experienced traumas, and we survived. We do the best we can. We focus on our abilities, trying not to let our disabilities rule our lives. The 8 Brocades figures have transformed into a valuable teaching tool, more powerful and useful than an art piece hanging on my wall. I believe most everyone can benefit from this gentle healing Qigong practice. Each person can modify accordingly, taking into consideration their own limitations. This practice can be done standing or seated. I hope you enjoy learning, practicing and benefiting with the 8 Brocades Qigong. 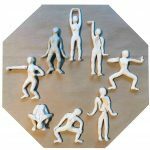 8 Brocade Qigong Practice – Each Brocade Practiced 7 Times. 8) Shake back 7 times to eliminate Disease.